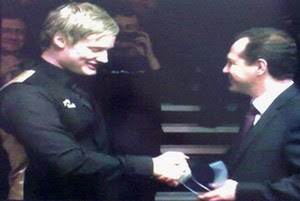 Come to the last day of PTC6 (Warsaw Classic), a winner is produced and he is Neil Robertson. Robertson captured his first ranking title PTC6 after winning World Open last September. Robertson was in unbeatable form today and has won two consecutive deciders against Stephen Maguire and Shaun Murphy before whitwashing Stephen Lee in the semi-finals. Robertson made three centuries 114, 113 and 103 in four high standard matches. he played in. The Thunder From Under eventually saw off Ricky Walden in the final by 4-1 with 95, 76 and 69 to capture PTC6 title as well as pocketed 10000 euro for the first prize. Robertson is pleased with the Poland crowd too and hope Poland will hold a ranking event very soon: "That makes it easier to play because it gives you a buzz, and hopefully the people who came will go away with good memories. In Germany it took a few years for the support to grow and now we have a full ranking event there, so hopefully something similar can happen in Poland." Runner-up Ricky Walden beaten Steve Davis 4-3 in the semi-finals coming from 2-3 down. Although The Nugget lost in semi-finals and nearly reached to play the final but he gave us surprises today. 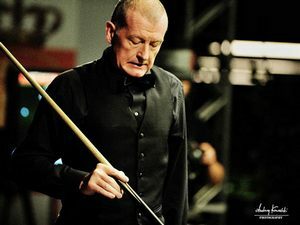 Davis won the marathon 4-3 lasted four hours agaisnt Mark King in the last 16 before heading to the quarter-finals with Jack Lisowski. 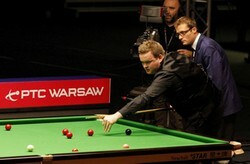 The Nugget only had a very short period of time to rest but he still came through to beat Liswoski 4-3. The marvellous run of the legend was ended by Walden 3-4. Steve has been the perfect ambassador for the game for over 30 years, and long may it continue.